Julie Kientz is an Associate Professor in the Department of Human Centered Design & Engineering (HCDE). 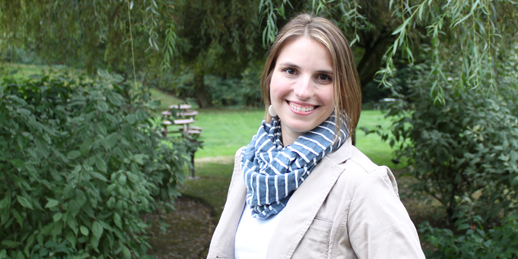 She is also Director of the Computing for Healthy Living and Learning (CHiLL) Lab and is active in the University of Washington's Design Use Build (DUB) Group alliance. Her research interests are in the areas of human-computer interaction, ubiquitous computing, and health informatics. In particular, Kientz is interested in determining how novel computing applications can address important issues in health and education and evaluating those applications through long-term real world deployment studies using a balance of qualitative and quantitative methods. Her most recent research involves the design and evaluation of computing technologies to support parents tracking the developmental progress and health of their newborn children, individuals with sleep disorders, and families with children with autism. Kientz received her PhD in Computer Science from the Georgia Institute of Technology in 2008 and her BS in Computer Science & Engineering from the University of Toledo in 2002. She was awarded a National Science Foundation CAREER Award in 2009, named an MIT Technology Review Innovator Under 35 in 2013, and was given the UW College of Engineering Faculty Research Innovator award in 2014.